NEW! Lightweight and comfortable, snap back. 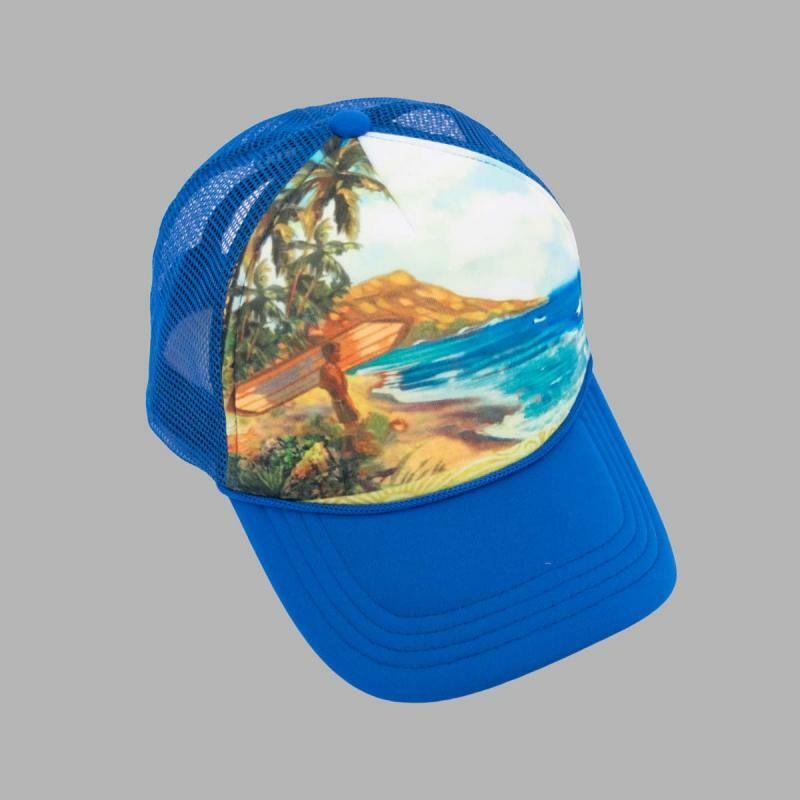 Front of cap has image of a "Diamond Head View", back embroidered "Duke's Waikiki". All one size. Price is $10.00.